Eat well and travel often. This has been my motto since I joined the air force in 2006. 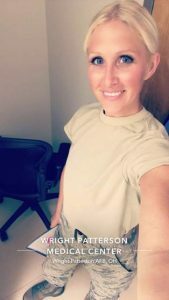 The military afforded me the opportunity to travel and explore the world and see places I may never have seen; including North Dakota, where I was lucky enough to get into the travel business. Now after 10 years I have been to 9 different countries including Mexico and Jamaica and multiple countries in Europe! I love traveling with my two sweet children, one of which was born in Germany. Both are under the age of 9 and are well seasoned in the Art of travel. Although I completely understand the memories and planning associated with a “family” vacation, I truly found my passion in the planning of Honeymoons and Anniversaries. To me there is nothing better than helping two people who are in love, enjoy their “love bubble” that comes from just getting married and going on your first vacation. Plus this means I get to go to Bridal Shows where love AND cake are abundant!! If there is one thing that will always be constant, it is love. I can’t wait to meet all of you who are starting these new and exciting chapters in your lives and to help you compliment that time with the perfect dream honeymoon! Officially a titled “Lady” in Scotland, thanks to Groupon! !